Yesterday I received February's LoveLula beauty box. I've been subscribed to the box since May last year, but will be cancelling my subscription from next month I think to cut down on all the samples. This month's box contains a few big brand names and would definitely appeal to a wider range of people, even those who don't exclusively use natural products. Although this box has a great value this month (approx. £33.00 in total), for me personally most of it would go to waste - the only product I would actually use is the eos lip balm to be honest, but I already have a couple of these! I do love Dr Bronner's soap, but the rose scent is just not for me. The Glam Glow masks seem to be very popular and especially hyped up by bloggers/vloggers - only thing is it does have a couple of ingredients used as preservatives that I'm not entirely sure if I want to avoid yet. Also I've tried a couple of MyChelle products in the past which unfortunately irritated my skin. Even though they didn't work for me, I'm sure others would get along great with them! I know a lot of people would think this box is fantastic and would love to receive these products, so I thought it would be great to give this box away to someone who would make better use of it than me! If you'd like to win this beauty box, you just have to be a UK resident and follow the instructions on the Rafflecopter widget below. The giveaway closes at midnight on Wednesday 12th February. Good luck! 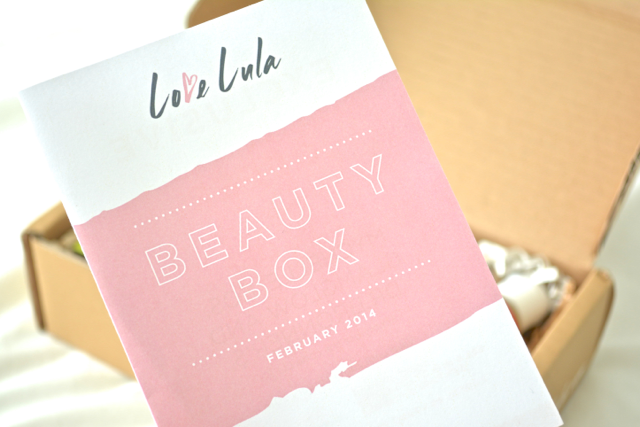 What do you think of February's LoveLula box? Have you tried any of these products before? Oooh, awesome giveaway lovely. I'd love to win if only so I could try some new products for a change! Saving all those pennies for a special date in August. Haha. Thank you so much for deciding to give this away. Fantastic! I've never tried the LoveLula boxes, I had a few beauty subs in my time but never came across this one and I definitely need more EOS in my life! 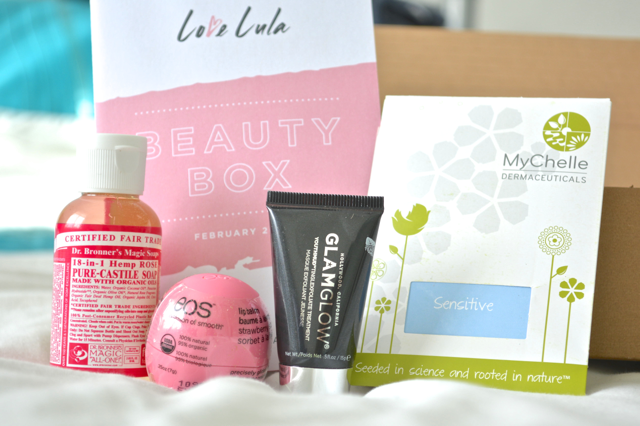 Love beauty boxes not tried this one! Great giveaway, very generous of you! I would love to win as I've been after trying an eos balm and the glamglow mask for so long. Nice selection of products and all ones I'd love to try - thanks! Great giveaway, nice selection of products. Great post!!! Awesome giveaway!!! Thanks for the chance!!! fab giveaway, would love to win this! Great prizes - fingers crossed! Loving the sound of that strawberry sorbet lip balm. Cheers for the giveaway! This box looks so cute! Would love to try the eos balm, it's been on my Amazon wishlist for ages! I'd love to try the things in this box, especially the Glam Glow face mask! Lovely Giveaway - Thank you!! Lovely giveaway! I have always wanted to try one of these beauty boxes! I always enjoy reading your blog! Thank you so much for this fabulous giveaway! Lovely giveaway - I've tried various beauty boxes but never a LoveLula one so would be great to try.